For instructions on how to configure the WAP300N in Access Point, click here. 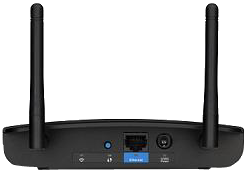 For instructions on how to configure the WAP300N in Wireless Media Connector mode, click here. For instructions on how to configure the WAP300N in Wireless Range Extender mode, click here. 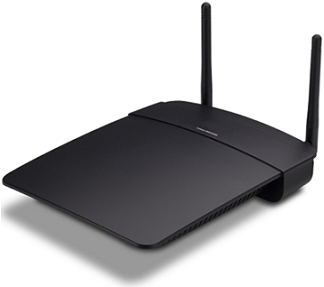 For instructions on how to configure the WAP300N in Wireless Bridge mode, click here. Wireless activity indicator – The light flashes when sending or receiving data over a wireless connection. In Access Point mode, it solidly lights up when the wireless interface is ready. In other modes, it is solidly lit when the WAP300N is connected to a router or another access point. Wi-Fi Protected Setup™ (WPS) button – Pressing this button sets up the wireless connection. Wi-Fi Protected Setup™ indicator - Stays steadily on after a successful Wi-Fi Protected Setup™ connection or when wireless security is enabled. The light flashes slowly during Wi-Fi Protected Setup™ and flashes quickly when there is a Wi-Fi Protected Setup™ error. Ethernet port - Connect a wired network device to this port. Ethernet activity indicator - Lights up when there is wired connection. The light lashes while actively sending or receiving data over the Ethernet port. Power port – The AC power adapter is connected to this port. Power indicator – Steadily lit up when power is connected. Flashes slowly during boot up, firmware upgrades, and factory reset. Reset button - Pressing this button for five (5) seconds will restore the device to its factory defaults.